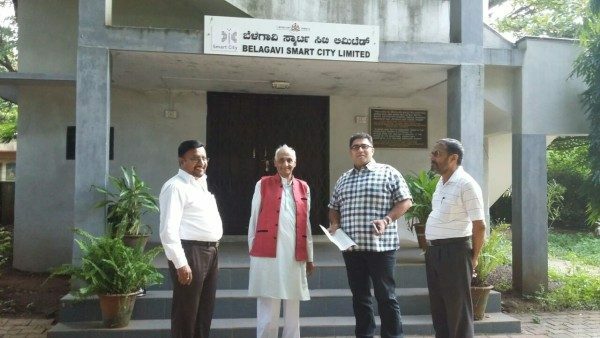 It has been over 8 months now that Belagavi got the “Smart City” tag, but it seems it only remains as a tag and nothing has moved on the ground towards smartness. The fully furnished smart city office opened at Tilakwadi near Tilakwadi police station is a mere office with empty chairs and one Lady peon. The lady there is really unaware of anything nor she remembers anyone coming there, “Then why was this office opened in the first place.” The office even did not have the Smart city proposal. The SPV was formed long back in the name of Belagavi Smart city limited (BSCL ) a public limited company & not single meeting has been convened at local level. Even at top level meetings had been called a number of times at Bengaluru, but got postponed or canceled with one or other reason. The implementation of the smart city proposals have not begun as yet and a nodal agency is yet to be appointed. The expenditure made on the office is from the local funds as Smart city funds will be disbursed only when projects are approved and are projects specific. So is this office another White elephant is the question the citizens are asking. To add to all this Corporation commissioner G Prabhu was transferred who as on date is the CEO of the BSCL and was the key person to take the project to its selection stage. On June 25, 2016 in a nation wide works commencement program the piped gas connection program was launched and bhoomi puja conducted. 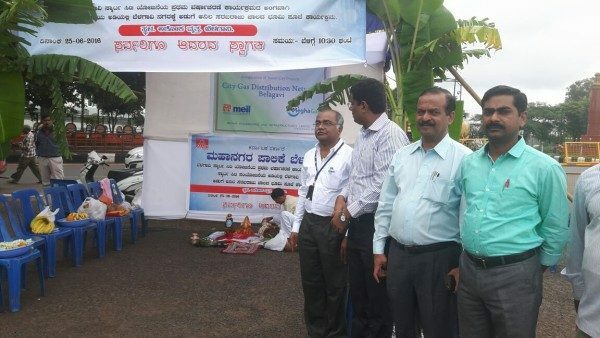 But later the work hasnt commenced as yet owing to digging charges levied by city corporation to MEIL (Megha Engineering and Infrastructure Ltd.) which has been awarded the contract for the development of the City Gas Distribution network in the Geographical area of Belagavi District. The Project Management Consultant’s (PMC) is yet to be appointed, which will provide strategic & project management assistance to BSCL for ensuring timely completion of projects and achieving the outcomes outlined in the Smart City Proposal (SCP), based on the Smart City Mission Guidelines. It is also been said that UG cabling by HESCOM is going on, but this was commenced on September 9, 2015. The only affirmative from the Smart City Tag is that people have hiked the prices of real estate, all Ads now contain the smart city tag mention and also many politicians have hoardings and social media posts regarding Smart city but in reality What has become SMART is the biggest question. Hope this does remain just a Smart City Tag on paper and files. Before the city becomes smart, let the citizens become smarter first. Let them at least learn not to liter on the roads, not to spit in the public places, follow simple traffic rules. City may become smart one day but one must be worth staying in there!